Since signing up for the Training CT this weekend, I’ve had some doubts. 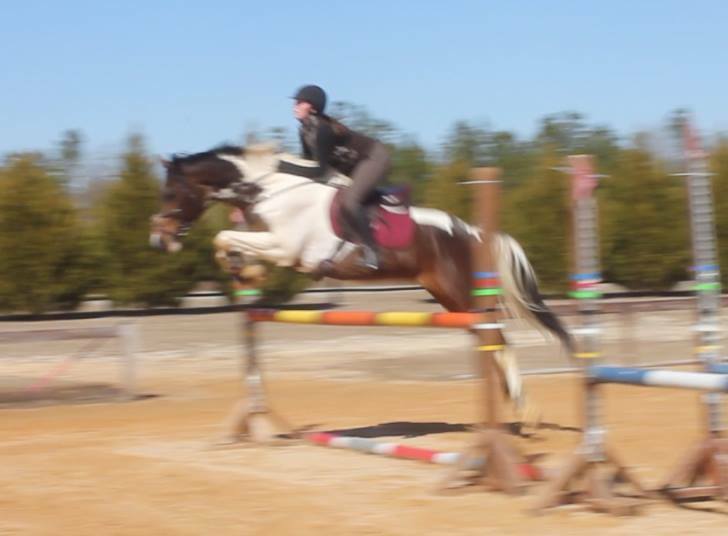 The last time we jumped was at the Carolina Clinic, and I wondered if I would be able to prepare Foster for another jumping round in time for this show. Thanks to the winter weather keeping us in the covered arena (an area too small for any real jumping) for the last couple weeks, in addition to vacation, Foster’s work has been irregular at best. But, I knew he could technically get around a Training course with relative ease. Yesterday was the first time I was able to ride in the outdoor jump arena in a month, and with impending rain, I thought to make the best of it and get in a jump school. 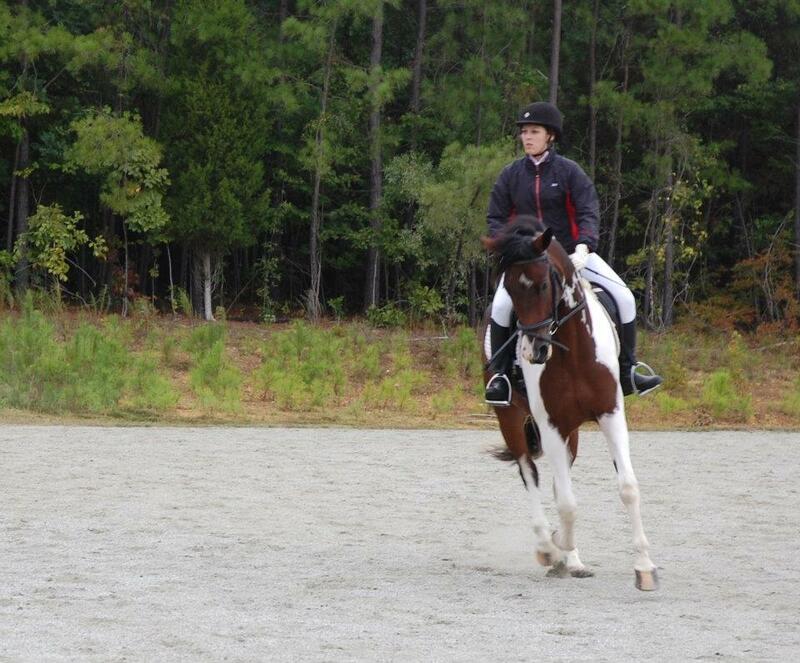 I had his open-fronts on, breastplate attached, and was doing up the girth when I decided- this was feeling too forced. Whenever it starts to feel that way regarding a show, I know it’s not the right decision. So I have elected to not jump this weekend. Instead, we’ll forge ahead with the Training A dressage test, and [if the show staff will allow,] add another dressage test to the mix- First level 1. This will mark Foster’s first official time competing at First level, and shouldn’t be a great stretch for him, as the movements are very similar to the Training A test we’ve been practicing. There’s a slight chance he may be a bit tired for the second test, but I would much rather a lazy dressage test than an underpowered jump round, any day. So, with that decision made, I quickly switched tack and instead dressaged around all the jumps I had set up not moments before. Immediately I felt a weight taken off my chest, and Foster was much happier than he has been in several rides to be out in the fresh air. 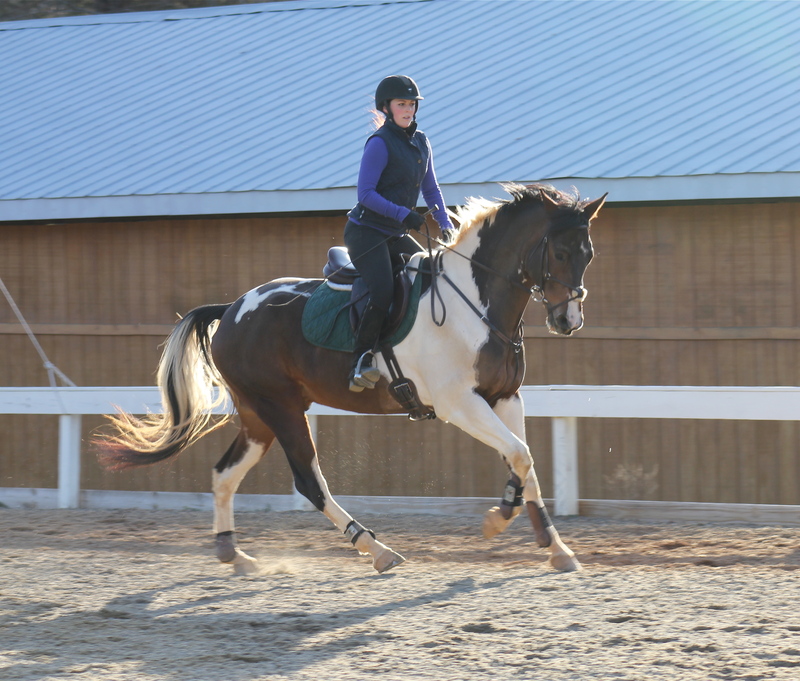 We schooled our lengthenings at canter and trot before calling it a day. His expression was happy, ears alert and eyes bright, and I feel I’ve made the right decision by my horse. As much as I want to get our first Training competition under our belt, his happiness and well being will always come first. Always! Definitely the smart thing to do :). Glad you will have a fun, no-pressure weekend! There will always be another opportunity! It always feels better when a decision puts the horse first. And bonus- There’s another CT next month! There are always more shows, you should be excited for your big debut 🙂 Best of luck this weekend! Always good to listen to your gut. There’s more shows later on for when you’re feeling fully prepared. Definitely. I just discovered there’s another CT at the same venue next month, so we’ll shoot for that instead. And if he’s still not ready, there will as you said be more shows to come! Absolutely- horse shows are about having fun! You can always tell you’ve made the right decision when you feel super happy/relieved by it!